Saw The Dark Knight today and the only thought comming to mind was that seldome I've seen the entire crew of the movie doing justice to the story to such an extent!! Heath Ledger who played Joker, passed away on 22, January, 2008!!! But all I can say, he left a wonder memory in our hearts with his astounding performance. There's hardly any flaw in the movie which anyone can point at. 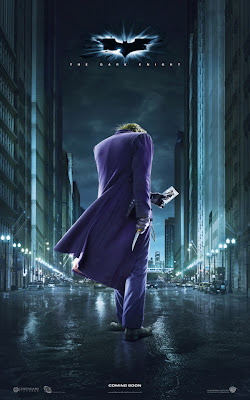 The run time of the movie is arround 2hr 30 mins and that's understandable too, as we see the rise and fall of both the Joker and the Two face. It's a must watch.............a fun ride and a thrilling experience! !